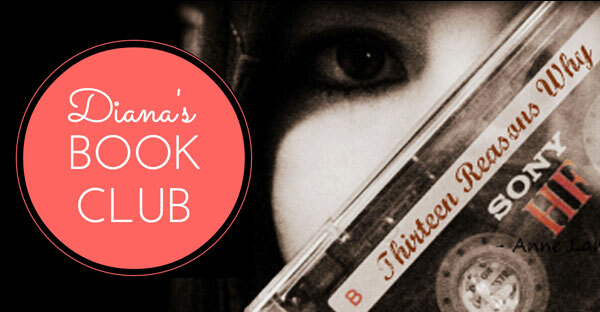 Welcome to the latest post in my book club series! Today’s review is for THIRTEEN REASONS WHY by Jay Asher. Interestingly, Jay self-published this book before it was picked up by Penguin after being wildly successful, giving authors everywhere hope that they can make it big on their own. Before committing suicide, Hannah Baker recorded a confession of the thirteen reasons why she ended her life, each reason being a person from school. When Clay Jenson, a boy who might have loved her, receives the tapes, he must listen and pass the recordings on to the next person in Hannah’s story, or else a copy of her tapes, and the thirteen people’s secrets, will be released to the public. 1. It’s a page turner with constant tension. I read THIRTEEN REASONS WHY in one sitting; its suspense and unique dual-narration style made for quite a page turner. The tension builds throughout the novel, showing the snowball effect of how one rumor, or one “list,” or one remark, one right after the other, could spiral into feelings of doubt, hopelessness, and a loss of self-worth. 2. Great character development. The character development of Clay and Hannah were believable, and Jay Asher captures the emotional vulnerability of a struggling high-school girl realistically. Of the two distinct narratives, Clay’s is the one that steals the story — his reactions to Hannah’s recordings induce sympathy more than Hannah’s bitter recollections. 3. Important message. This novel conveys the message that teenagers, or anyone, really, should be careful of how they treat others — you never know what people are struggling with, and a single act of malice could be someone’s breaking point. It also reveals the importance of stepping in and offering to help, even if just to listen, when you see the warning signs of suicide instead of just walking away. 1. What role would social media have played? I liked how Asher used cassette tapes as Hannah’s mode of confession. Clay acknowledges that cassettes are outdated, and he must find a way to listen to the tapes, including stealing someone’s old walkman. It’s a creative way to make the novel relevant for years to come. Still, I wondered how social media sites like Facebook would have played into Hannah and Clay’s high school experience; in a world where cassettes are outdated, the Internet is growing in full force. 2. Would she really have committed suicide? Suicide is often attributed to a mental disorder, e.g. depression, something that isn’t circumstantial. Hannah blames her death on specific events, but before these events — over just a few months — Hannah was fine and dandy. So would a girl go from A-ok to killing herself that quickly? Possibly. But a stronger twist could have been that she feigned suicide, but really ran away from home, and clues in the tapes would have led Clay to discover this truth. THAT would have been interesting. 3. Where were Hannah’s parents? Couldn’t Hannah have turned to them for help? Asked to transfer to another school? Perhaps they (or their absense) could have been one of the thirteen reasons to make it seem like Hannah really had no other way out. Click to tweet: Read @DianaUrban’s review of @jayasherguy’s THIRTEEN REASONS WHY – http://bit.ly/PkvgIo What did you think of it?